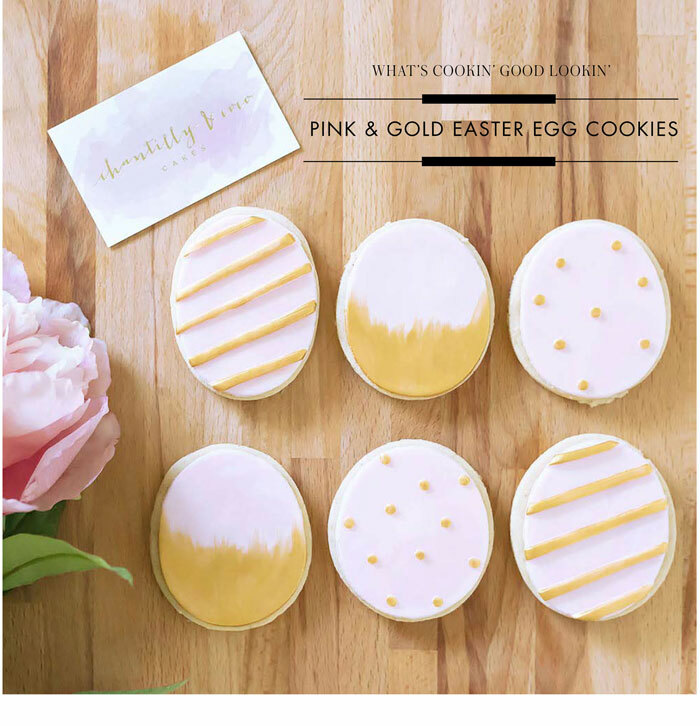 Pink & Gold Easter Egg Cookies! 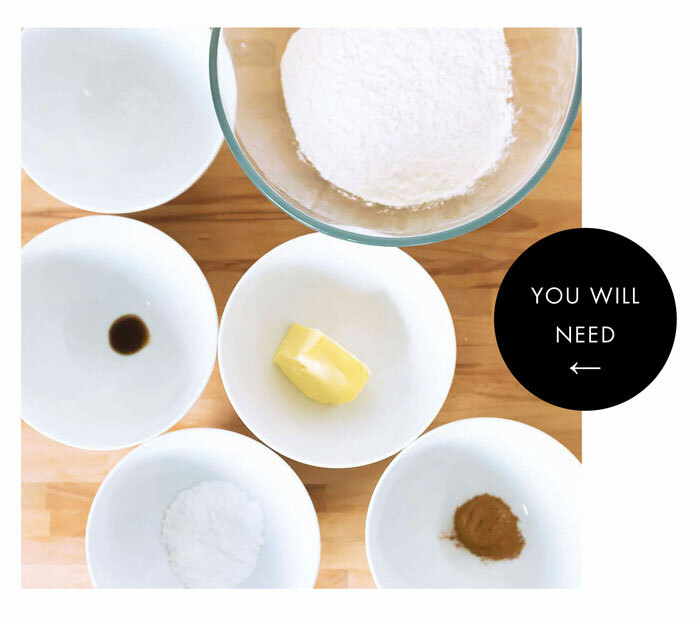 6.Slowly pour the dry mix into the wet mix and then with freshly cleaned hands, hand ball the mixture altogether to make a tight round flat disk. 7.Wrap the disk in glad wrap so its air tight and fridge for 1hour or until chilled and firm. 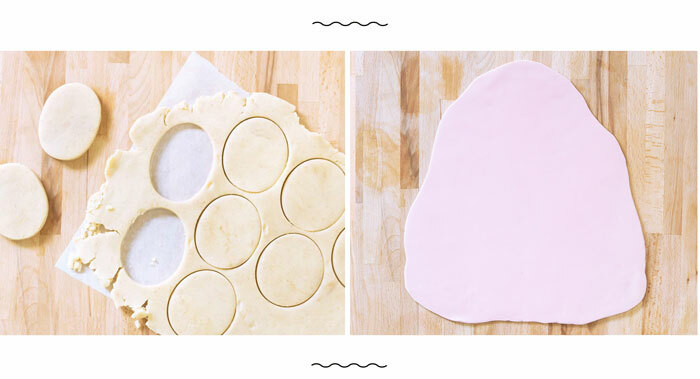 8.Use a baking trap with 2 pieces of baking paper to roll out the cookie dough to about 1-2cm. 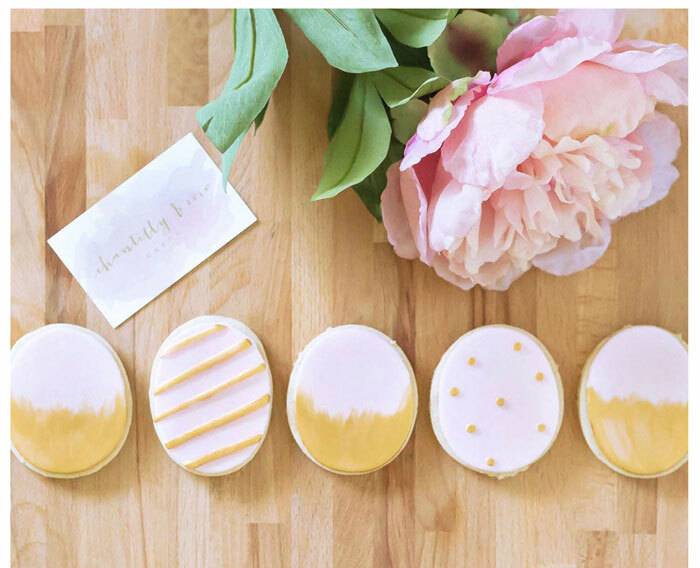 9.Use your egg cutter to cut your cookie from the rolled out dough and bake in the oven for 8-10minutes until cookies are a light golden colour. 10. Leave on a cooling rack for half an hour before dressing. 11. Dress your eggs with sugar fondant and edible gold paint or express your creativity through your own designs.